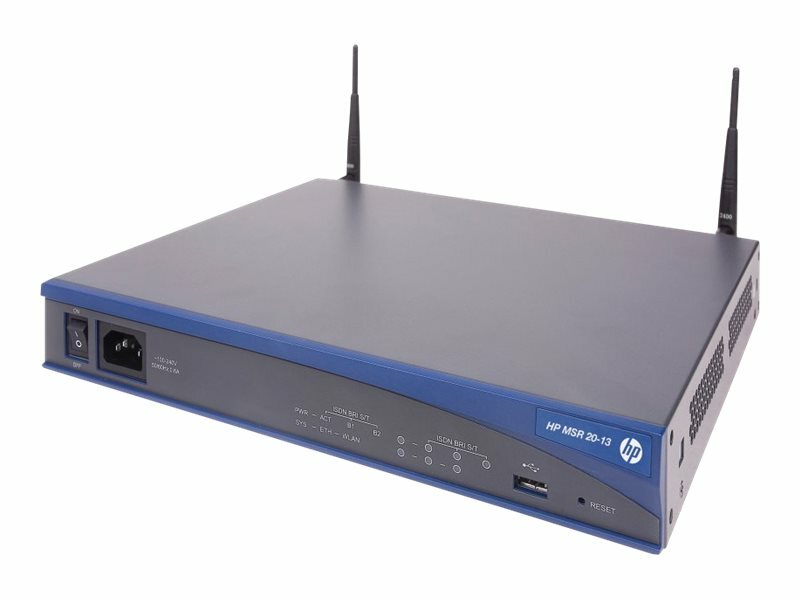 The HPE MSR20-1x Router Series is full-featured, economical and designed for both the converged wired and wireless WAN and LAN environments at remote branch offices and small to medium-sized businesses. 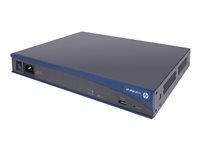 The MSR20-1x Series delivers speeds up to 160 Kpps and integrates routing, switching, security, wireless, and voice services while reducing complexity, simplifying management, and increasing control. These routers enable an agile and flexible network infrastructure that can quickly adapt to changing business requirements. The HPE MSR20-1x Router Series provides powerful encryption capacity with embedded hardware encryption accelerator designed for converged WAN environments at remote branch offices and small to medium-sized businesses. Flexible chassis selection meeting different requirements on enterprise branches. 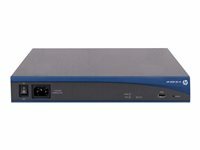 Provides forwarding performance of up to 160 Kpps to meet bandwidth-intensive application demands. Congestion management and avoidance boosts network quality. Also supports traffic shaping, FR QoS, and MP QoS/LFI. Management security provides multiple privilege levels restricting access to critical configuration commands. Remote monitoring (RMON): uses standard SNMP to monitor essential network functions while supporting events, alarms, history, and statistics groups plus a private alarm extension group. 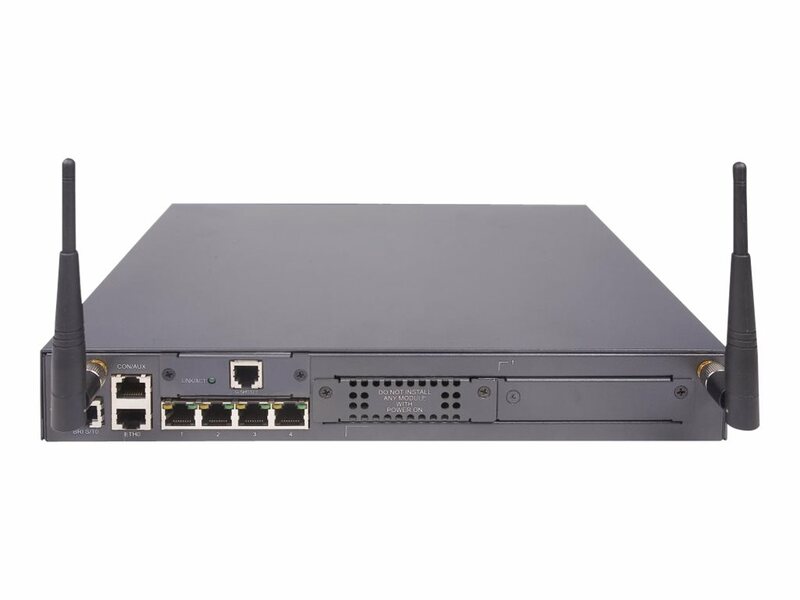 Supports internal loopback testing for maintenance purposes and an increase in availability while loopback-detection protects against incorrect cabling or network configurations. 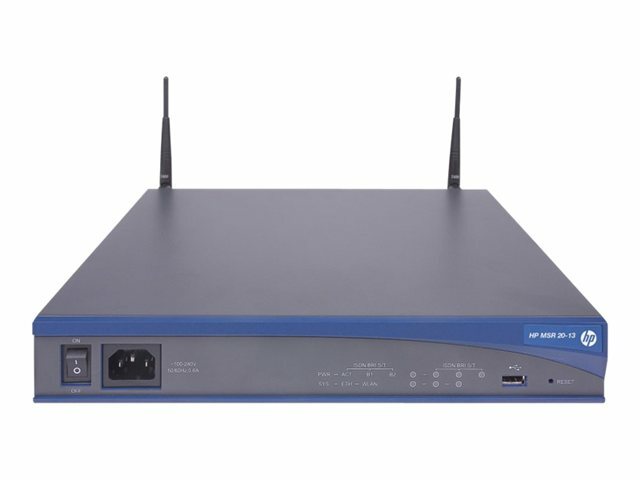 Provides Wi-Fi, 3G access, fiber and copper interfaces, and multiple WAN interfaces for traditional and Ethernet access for increased flexibility.